Install the Northwind Database into the environment. Click here to install the database. Note that this link does link to the SQL Server 2000 Sample Databases, but after downloading it, the ZIP file can be extracted and contained inside the package as a file named "instnwnd.sql." This file can be opened and executed inside of Microsoft SQL Server Management Studio. 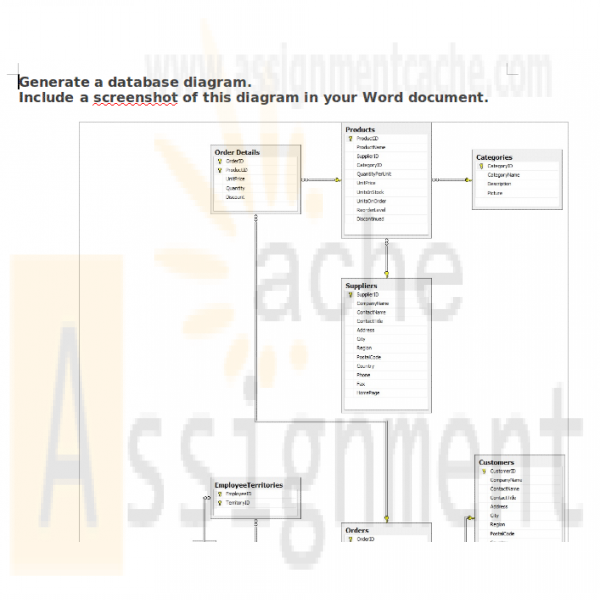 Include a screenshot of this diagram in your Word document. For each of these statements, include a screenshot of the SQL. Make sure to include the statement execution, including the resulting data. 1. Display all columns and all rows from the Employees table. 2. 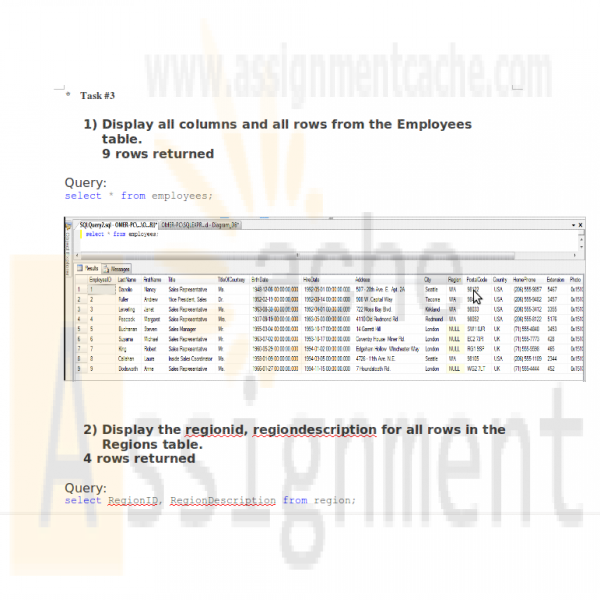 Display the regionid, regiondescription for all rows in the Regions table. 4. Display the customer ID, customer name, and region for all customers. 5. Display the customer ID, customer name, and region for all customers. 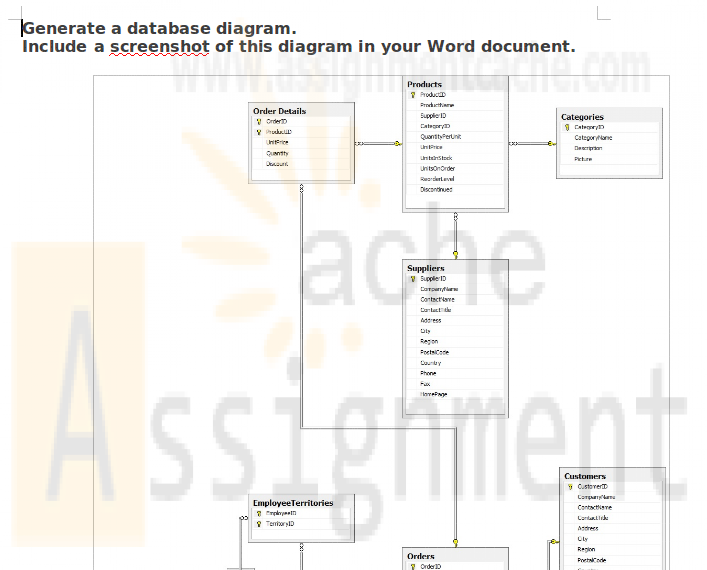 Name the columns "ID," "Name," and "Region" (respectively), and sort the data by the company name.